The results of government testing of our foods for pesticide residues may not be quite what we expected. Every year the Agricultural Marketing Service (AMS) targets certain food materials which they consider high risks, collects samples from warehouses and storage facilities, and tests them for a wide array of pesticides they deem likely to be present. 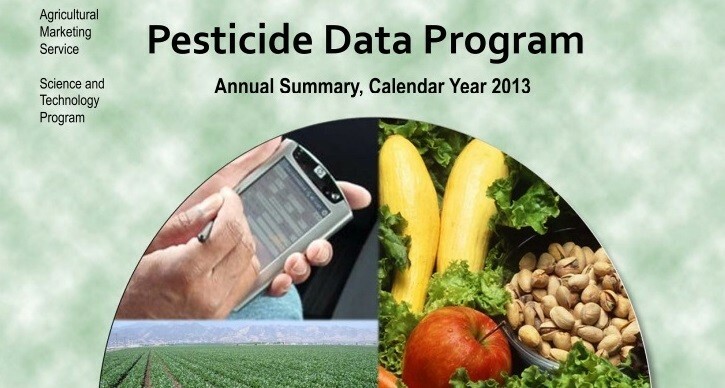 These Pesticide Data Program (PDP) reports are one of many taxpayer funded activities designed to fulfill the agency's congressional goals and mandates. The latest published report from December 2014 reveals that the world's most widely-used herbicide, glyphosate, was not even tested. Neither were wheat products grown in the U.S. With all the glyphosate studies showing microbiome impacts and chelation of toxic minerals (aluminum), why no sampling of glyphosate? Is cost really so prohibitive with our federal budget, while we see escalating chronic health problems? Or, are the chemical companies behind the most popular herbicide in the world putting pressure on the federal government not to do anything that would put a dent in the sale of their products?